Get excited and stay tuned, details coming soon. Lodging solutions are booking up fast. Details? Where's it gonna be? For the newbies...thanks to forum member TitanTN and his desire to not only see old boats on a website but to touch them in person, he had the brilliant idea to see if a group of strangers from the internet would meet in Chattanooga, TN back in 2012 and show off their beloved Supras. Amazingly, the weekend was a success and now we announce the 8th edition of this gathering. Last year was our first year to hold the reunion on Lake Nottely in Blairsville, GA. We had five states represented and quite the turnout. However wonderful last year's event was, this year we have decided to take our first trek to Dale Hollow Lake in Tennessee/ Kentucky to explore new waters. For the northern contingent of forum members, this should help save a few hours worth of travel. Travel times from Mt. Sterling, OH will be about 5.5 hours pulling the big block and around 7 hours from Bourbonnais, IL. Travel times from Nashville, Knoxville, and Chattanooga, TN are just over 2 hours. Lexington, KY is about 2.5 hours. Atlanta, GA is around 4 hours. Sunset Marina on the east side of the lake off Highway 111 will be our home base since the lake is rather large and spread out. This has close proximity to small town, gas, and on-site restaurant. The lake offers many cabin rentals but be aware their are no docks on the lake so if you find a cabin, make sure you are near a ramp or find a marina that will offer you a daily slip. Also, this lake offers many houseboat rentals which could be a great option for you and your family to stay right in the middle of the lake. Who: Open to all Supra owners and Supra Forum members. Yes, Moombas are welcome. Note: The lake is in the Central Time Zone. The lake's name originated from William Dale, a government surveyor, settling originally in Willow Grove. Mr. Dale bought his first 449 acres of land which he turned into a farm.The farm eventually grew into a plantation known as Dale Hollow. The dam was started in 1942; The waters of the lake ultimately covered both the farm and Willow Grove.The project was designed and completed by the United States Army Corps of Engineers in 1943, making the lake the oldest artificial lake in Kentucky. Dale Hollow Dam is used to supply power to the surrounding countryside. The 27,000 acre lake is also frequently used for recreation. Water sports are popular, including water skiing, wakeboarding, and tubing which are regularly seen, but the main recreational use is fishing. 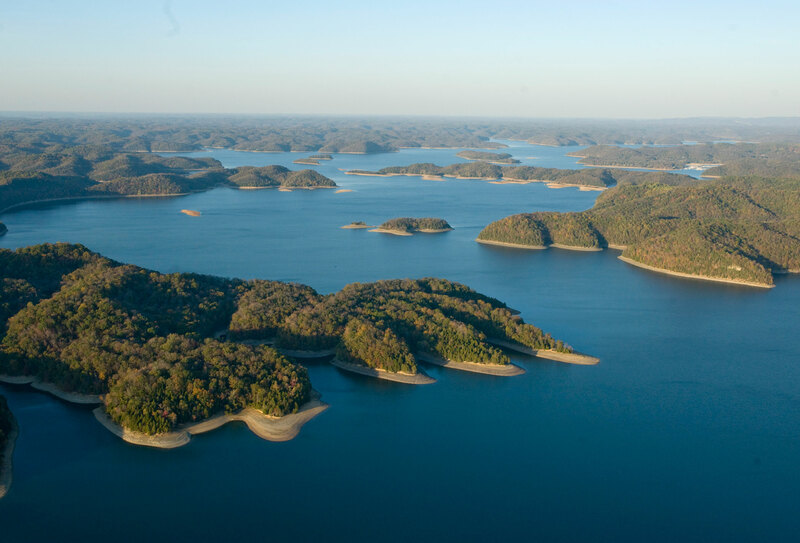 Dale Hollow is a choice location for smallmouth bass fishing, currently holding the world record for the largest smallmouth bass ever caught. The lake and surrounding rivers also contain other species such as largemouth bass, crappie, muskellunge, walleye, catfish, gar, and trout. Most of the local marinas have some cabins or cottages for rent and offer slips with daily rental. Check with each one to see what amenities they offer. Start calling today to reserve your spot as this lake has high summer volume and July is peak time. FYI: Most marinas have a 3 night minimum during peak season and will charge a launch fee for boat. Try Google for more options on accomodations, too much to list here. Come show off your beautiful Supra, bring the whole family and make it a weekend to remember. Let us know by a reply to this thread if you think you are up to the challenge this year. For anyone that hasn't attended before, just reach out to me via private message and I will give you my phone number so we can communicate once the event draws closer. We’re in! Should be a good time. Have always wanted to visit Dale Hollow. You lost me at fishing, I thought we were talking about skiing, surfing and wakeboarding...ok fine, and tubing. On the fence about dragging the ski tug down, will know more as the time draws near but we are in at a 10-11 hour drive give or take a Kentucky highway accident to impede progress. Ecstatic you guys are headed to my "home" lake! I live in Lexington, but Dale Hollow is our go-to! I'm not so active here anymore (I'm in a new Moomba now), but I'll certainly partake. I've got post notifications turned on for this post, so if you have any specific questions about the area, I'll be watching and happy to help! Sunset is an awesome marina, and the camping at Obey River Rec Area (the state park right next to Sunset) is great too! It's a big lake, so come prepared to burn some fuel! I'll post to the "Inboards on DHL" Facebook page too. Lots of Skier's Choice boats on the lake since the only dealer in the state is just about 15 miles away from Sunset - every weekend kind of feels like a Supra Reunion! Thanks Korey for all your help. As far as burning lots of fuel, reminds me of the saying, "The wife said take me somewhere expensive tonight, so I took her to the gas station." Gotta love marina gas prices. Have had good feedback so far on location and for those that have made your reservations, can't wait to see ya'll there. Have you ever been to Clinton lake in Clinton IL. ?